Living a Fit and Full Life: Read a Devotion Everyday with Jesus Always: 365 Devotions for Kids by Sarah Young! 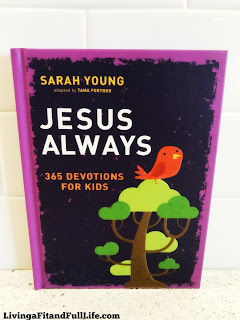 Read a Devotion Everyday with Jesus Always: 365 Devotions for Kids by Sarah Young! Read a devotion everyday with Jesus Always: 365 Devotions for Kids by Sarah Young! 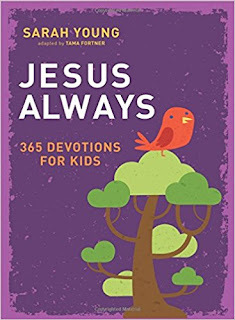 Jesus Always: 365 Devotions for Kids by Sarah Young is an amazing devotional for kids. My kids and I have been going through this devotional and I can honestly say that I've seen their little hearts grow as they discover the true meaning of Joy. Each devotion focuses on the biblical teaching of the joy we can experience at any time and in all circumstances. This devotional is the perfect way to intimately and gently connect your children with Jesus. I absolutely love that my children enjoy this devotional and that it's helping both them and I to discover the true meaning of joy in each and every day. 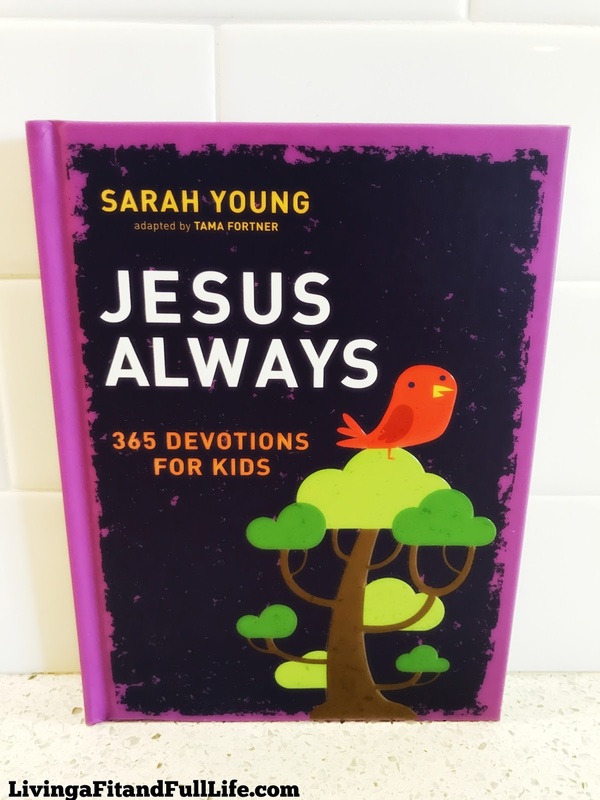 Jesus Always: 365 Devotions for Kids by Sarah Young is a terrific devotional that my family and I highly recommend! You can find Jesus Always: 365 Devotions for Kids by Sarah Young on Amazon, Barnes and Noble and other bookstores.